Bump Up! : Read, Think & Speak is a three-book reading series designed for high-intermediate learners of English. This series provides selections from literary classics from around the world at an accessible reading level. The true objective of reading these familiar stories is not merely understanding. The unique sections of the Bump Up! 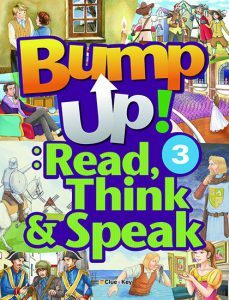 series will guide students to read, think, and speak. 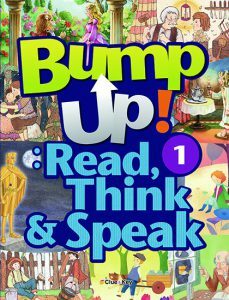 After reading each story, students will demonstrate their understanding, interpret the events and characters in the story, and express their own opinions of them. 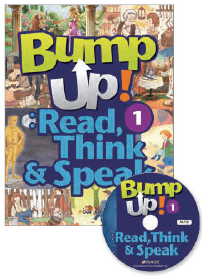 In addition, the retelling and reader’s theater activities in each unit will encourage students to develop their speaking fluency and confidence. Through the Bump Up! 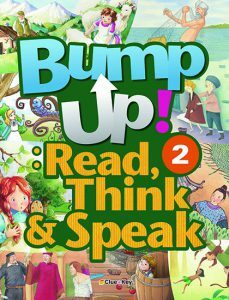 series, students will get the joy of reading compelling stories and learn how to interact with texts in an active way.